This demo is PAL ONLY! Please see below under Additional Information for more details. 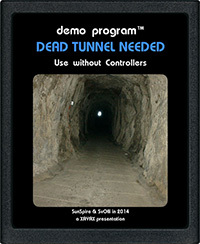 Dead Tunnel Needed is a graphics and sound demo for the Atari 2600 and won 4th place in a combined demo/intro competition. Press and hold the fire button on the left player joystick to delay the start of the video. The demo then starts once the fire button is released. 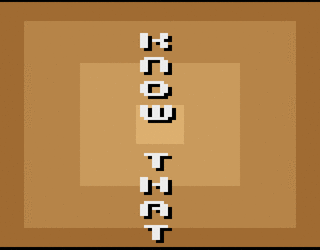 You can learn more about Dead Tunnel Needed by visiting Xayax.net. 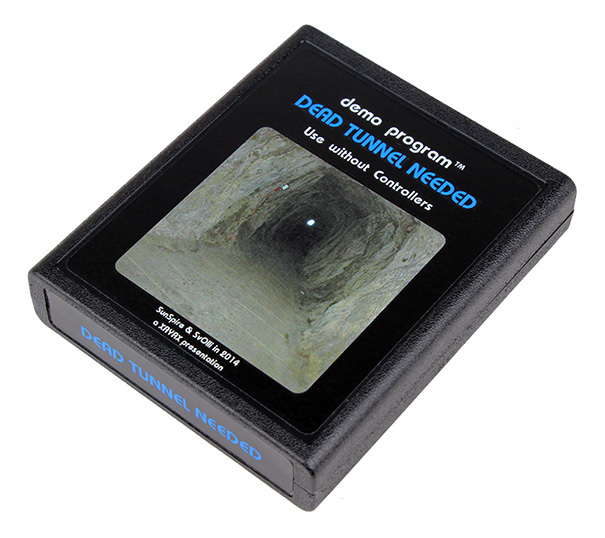 Dead Tunnel Needed includes cartridge only, no manual or box is included. 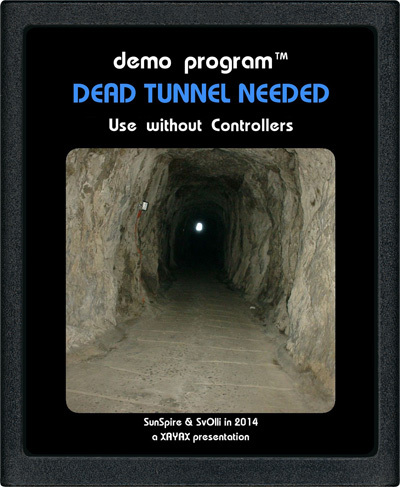 Dead Tunnel Needed is a PAL demo, which means it will not display properly if you are in a country that uses NTSC or SECAM television standards. PAL regions include most of Europe, Australia, Asia, and many countries in Africa and South America. 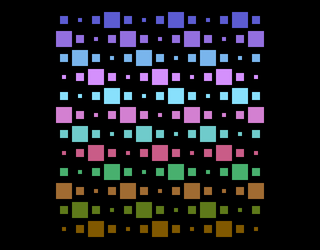 If you are in the United States or Canada, this demo will not display the correct colors on your Atari 2600, and may not display on your television at all.